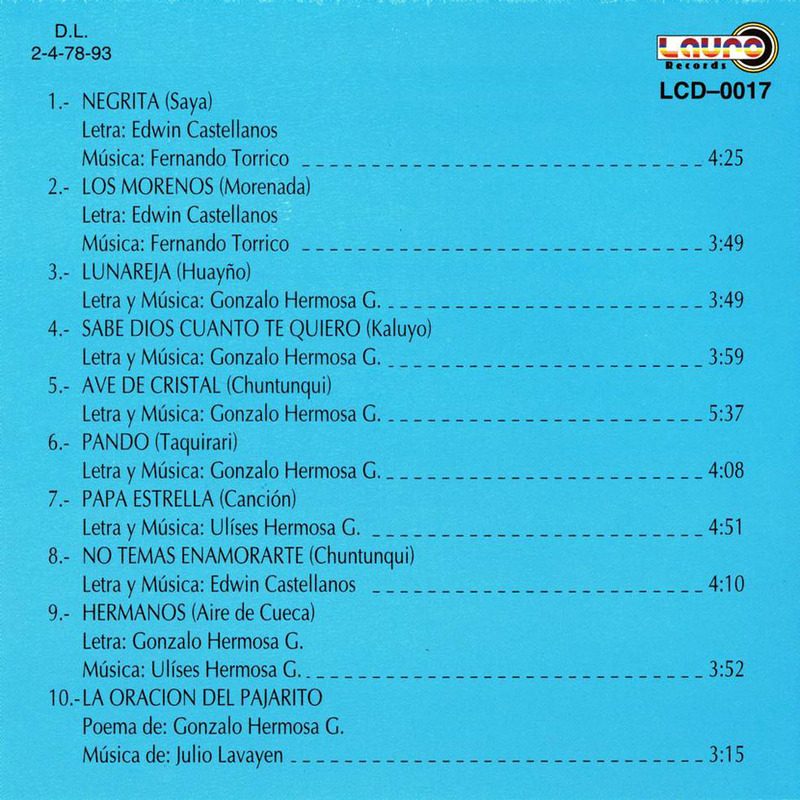 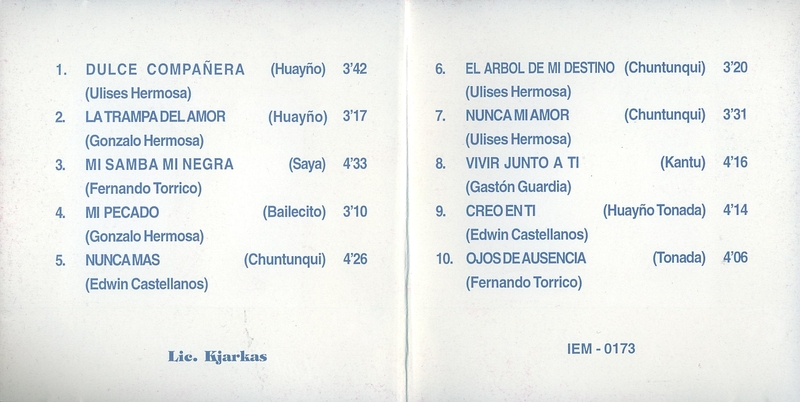 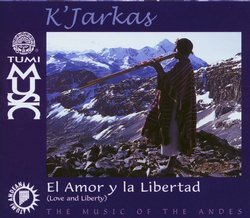 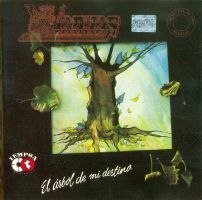 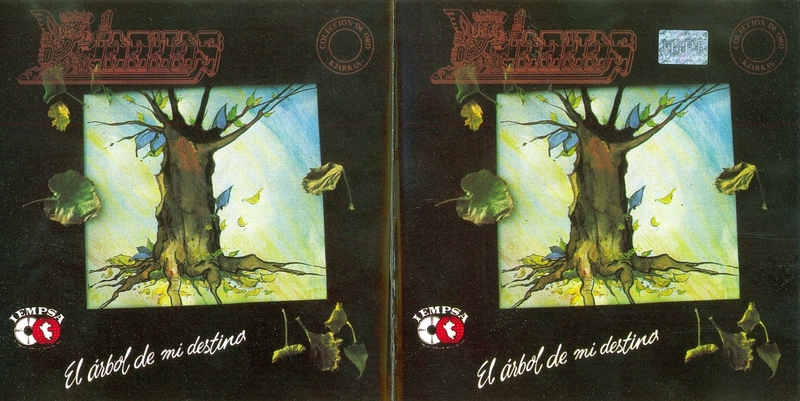 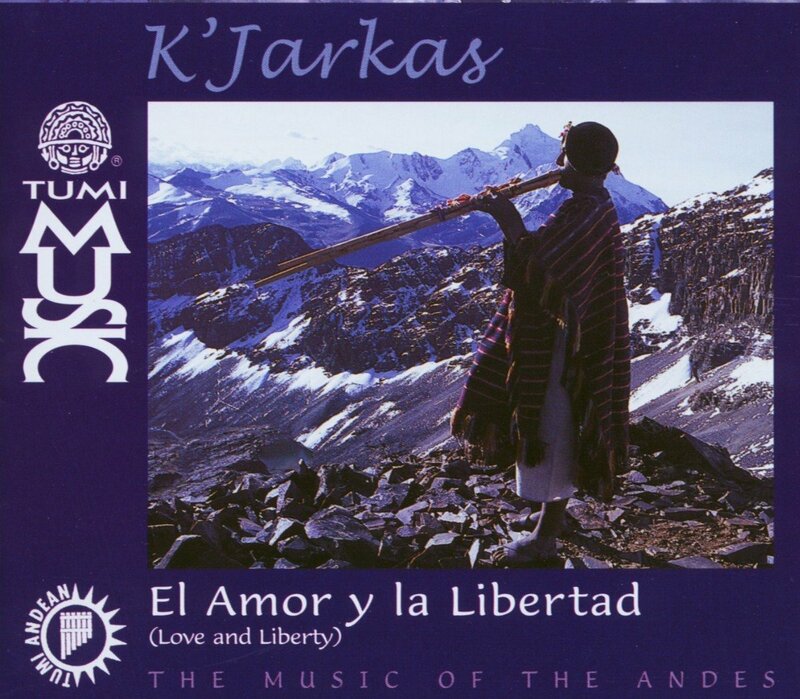 "El amor y la Libertad"
"Los Andes... Descubrio Su Rostro Milenario"
"El Arbol De Mi Destino"
"Lo mejor de los Kjarkas Vol. 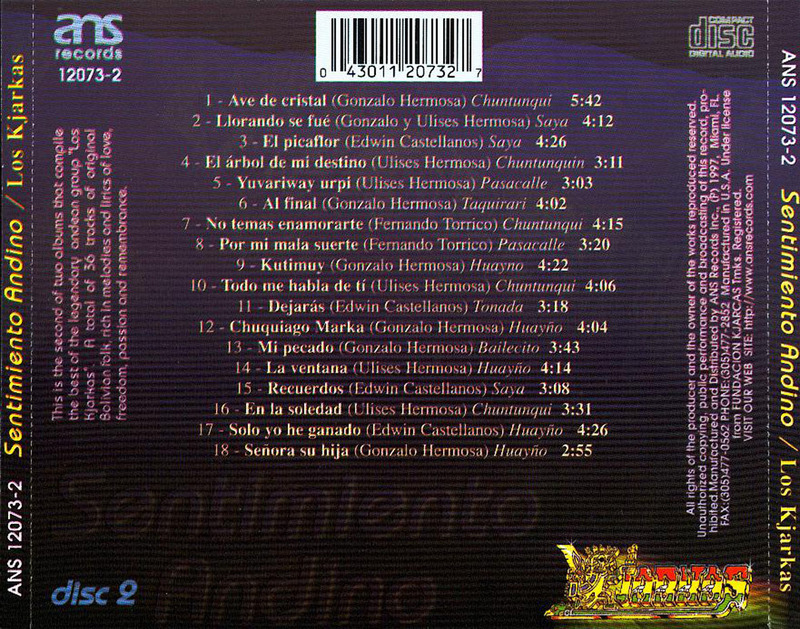 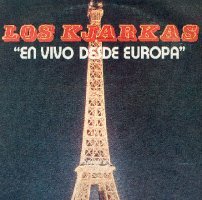 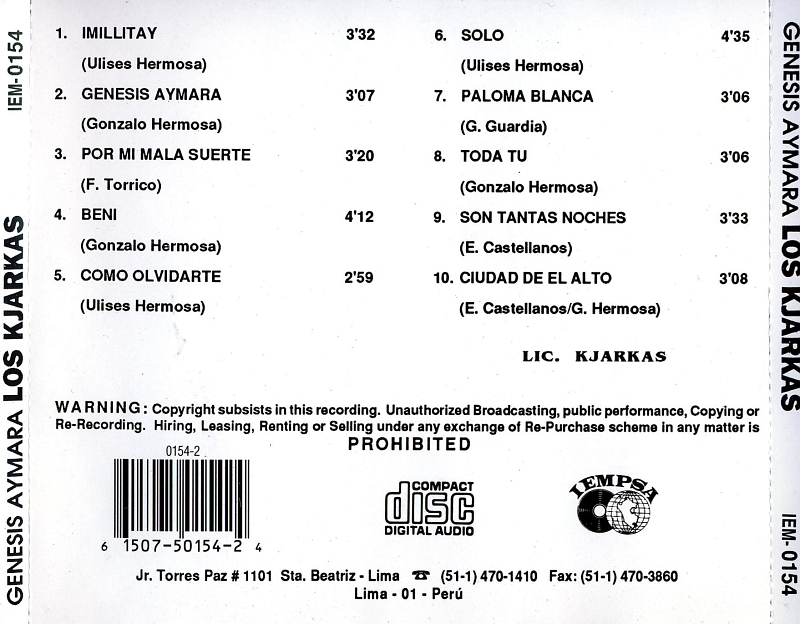 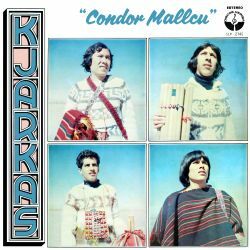 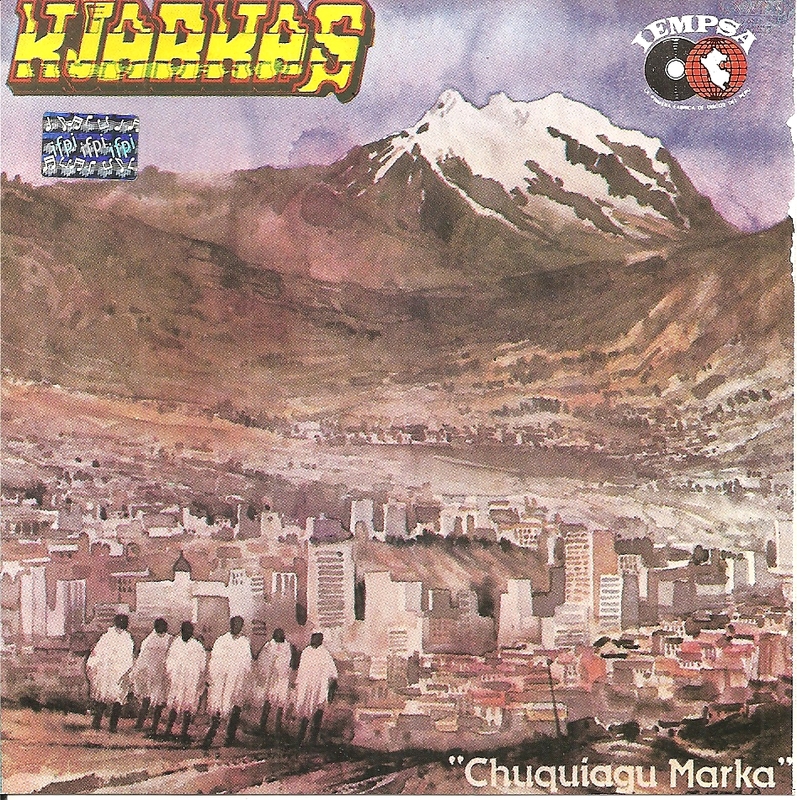 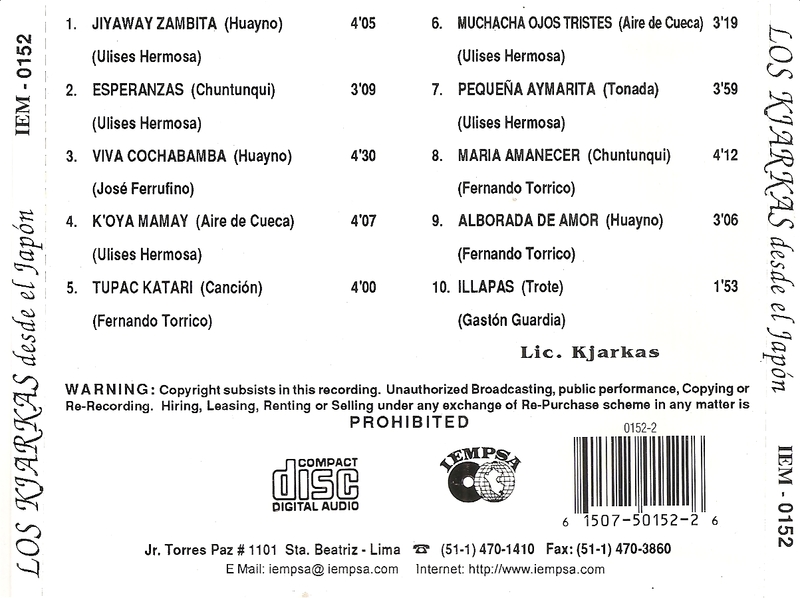 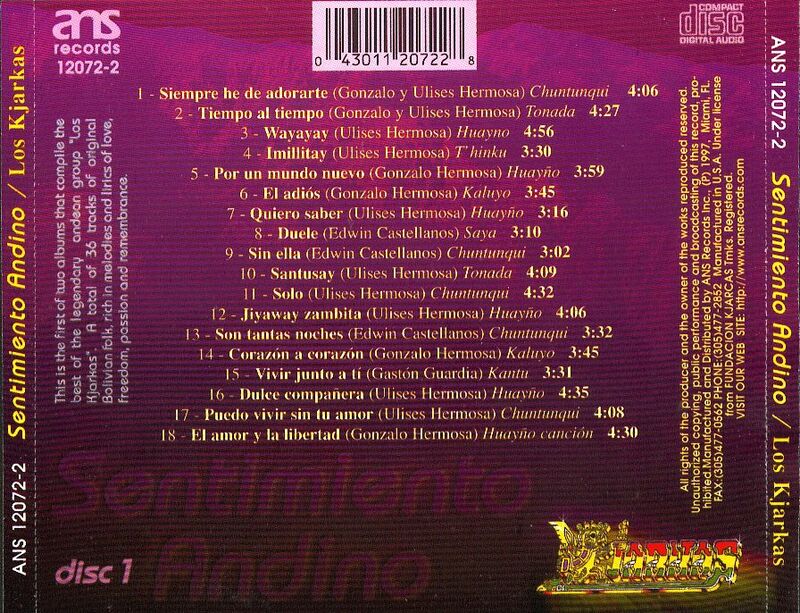 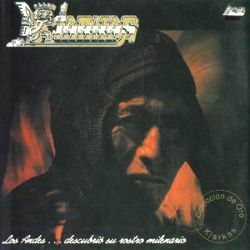 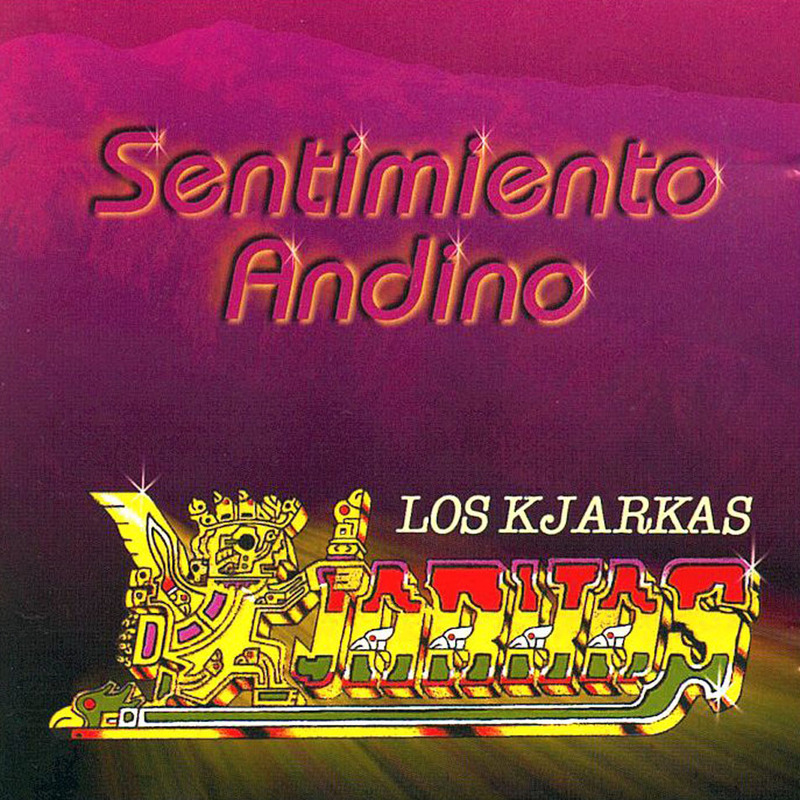 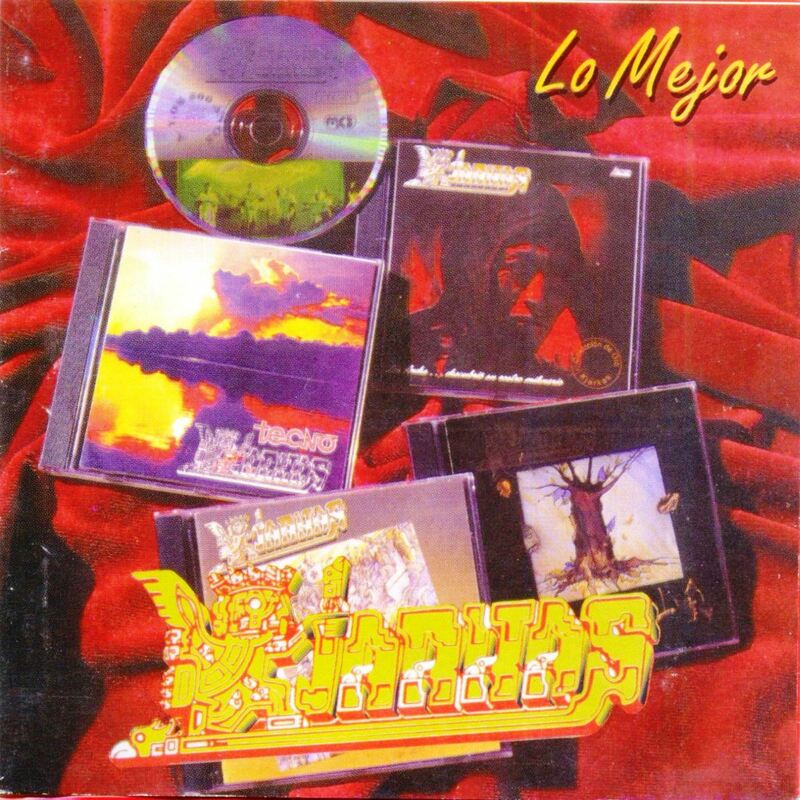 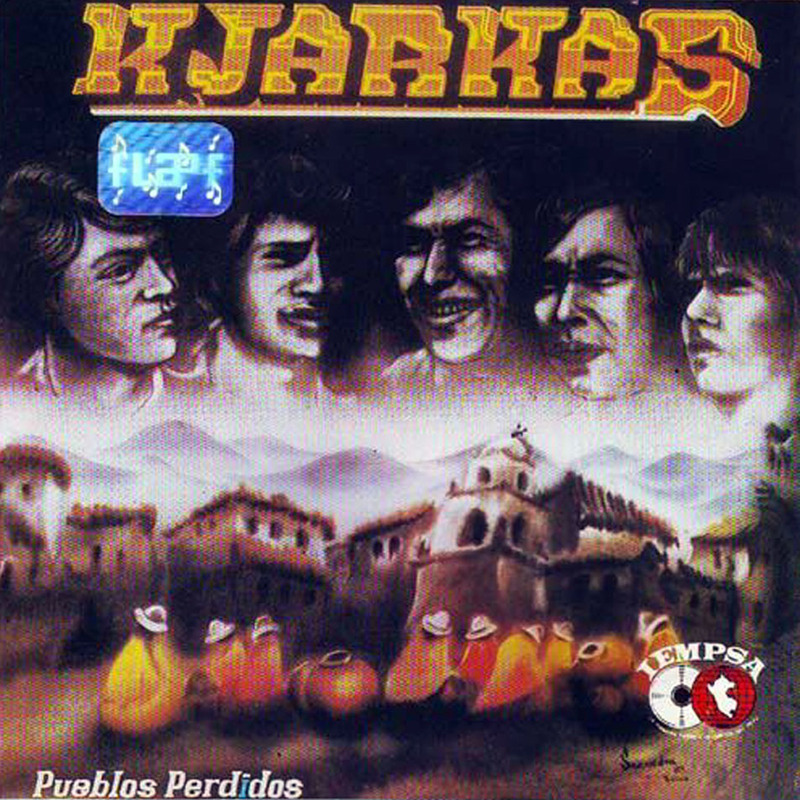 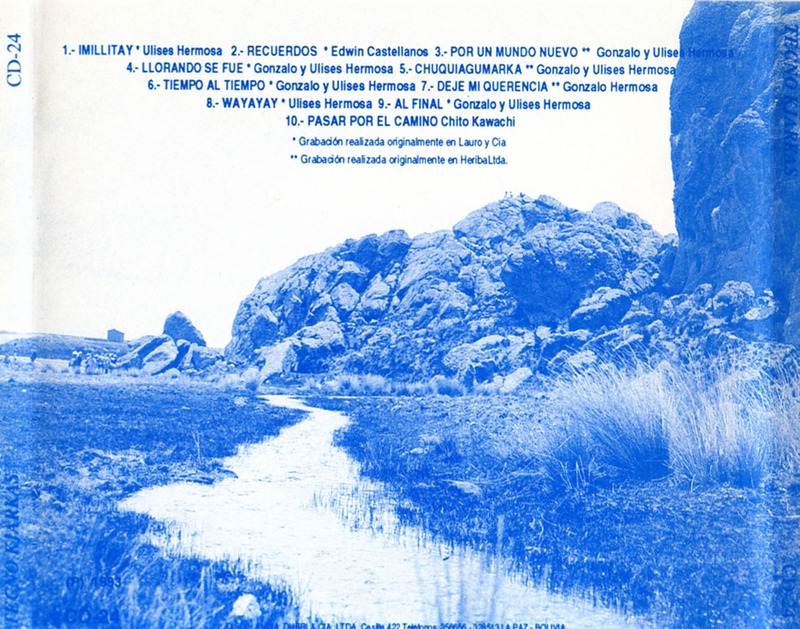 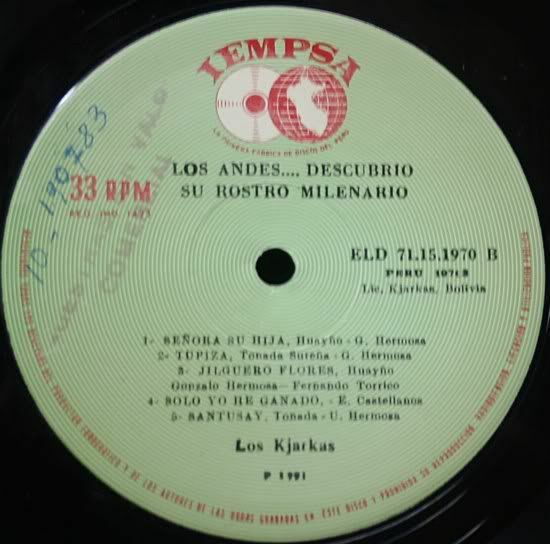 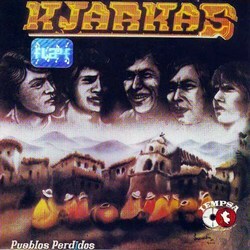 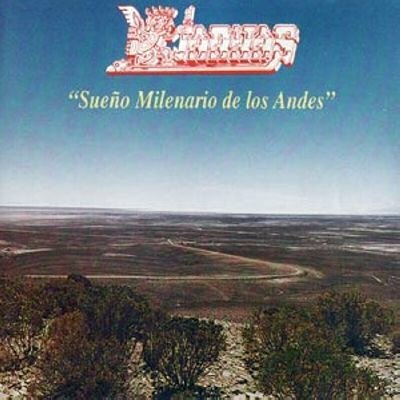 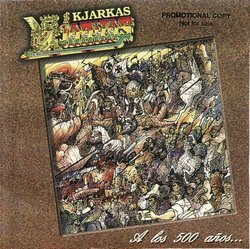 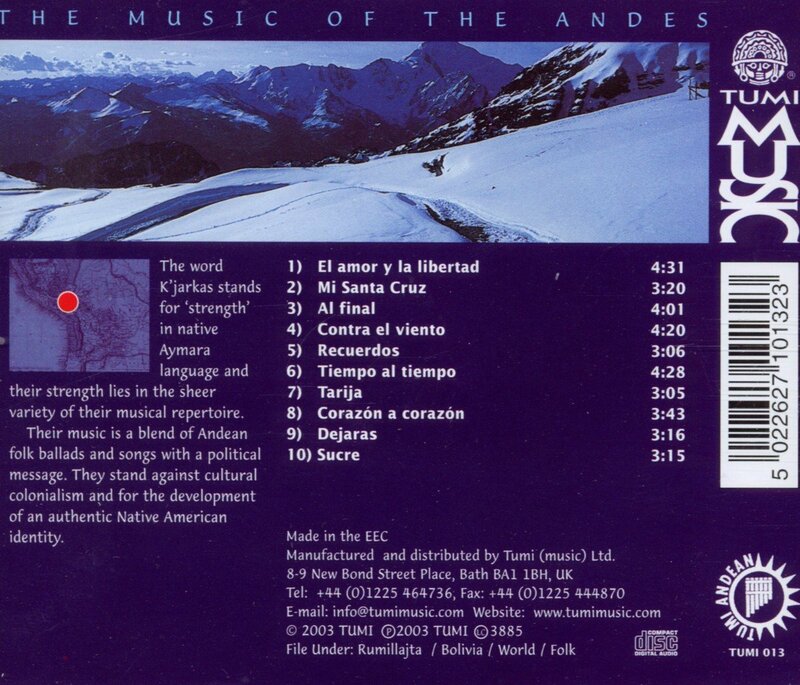 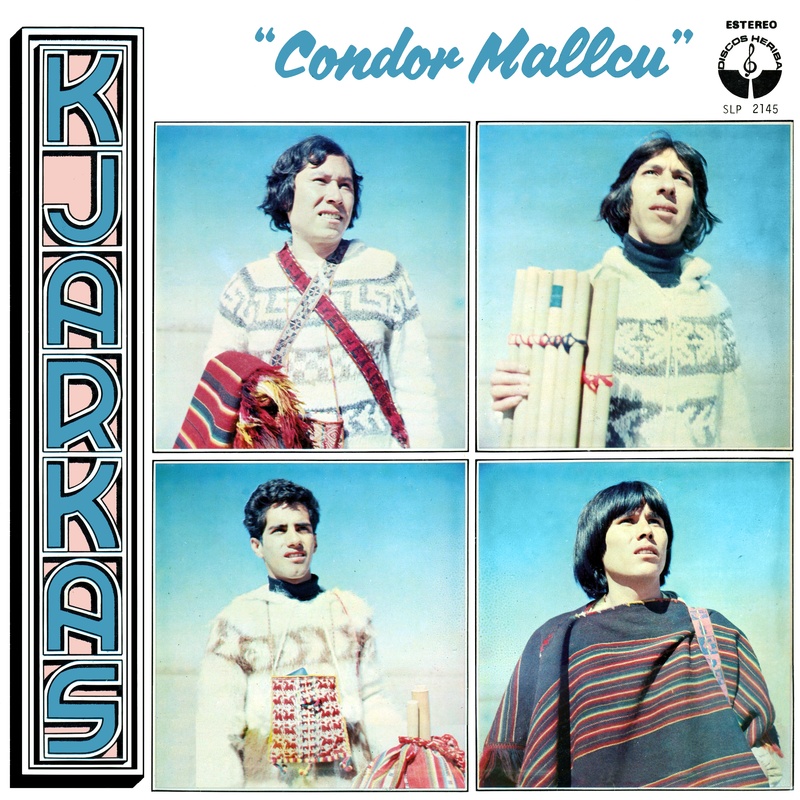 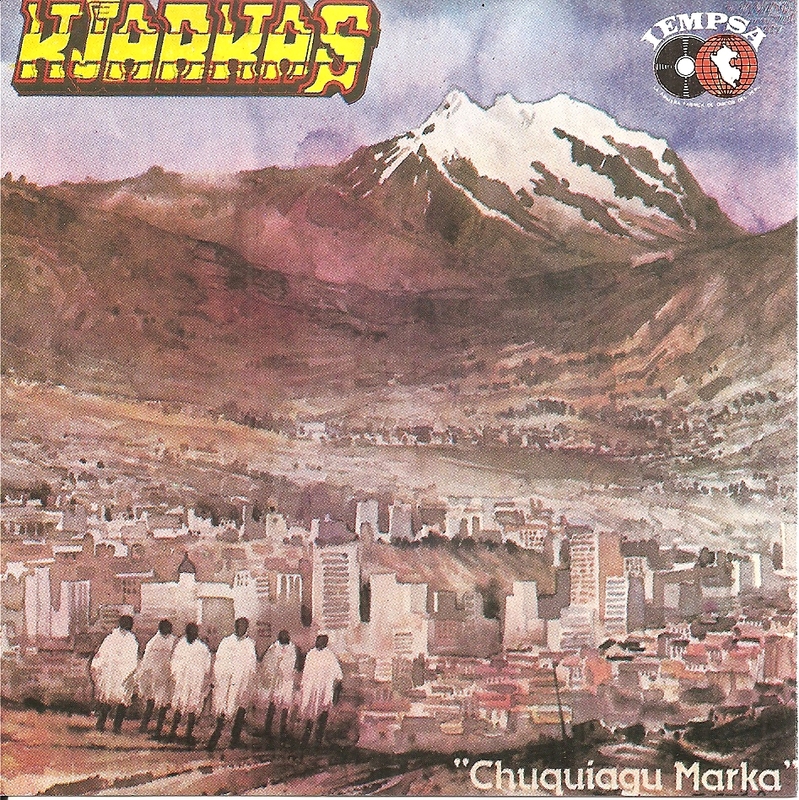 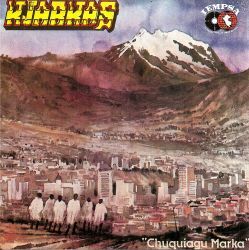 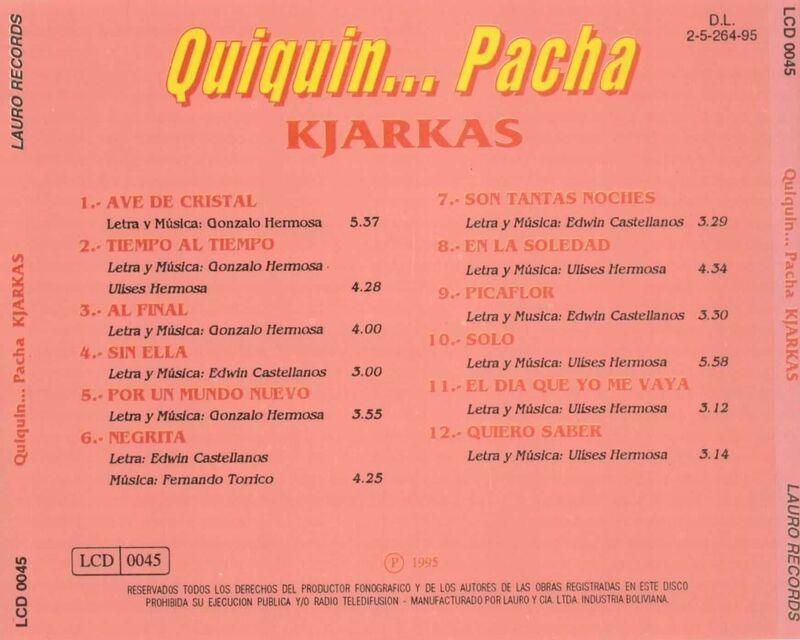 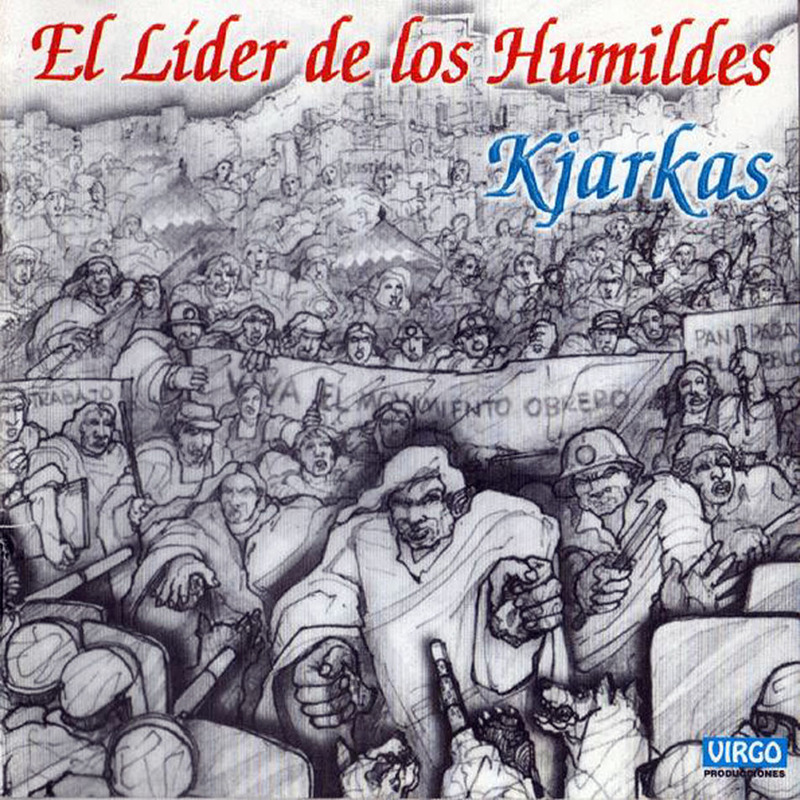 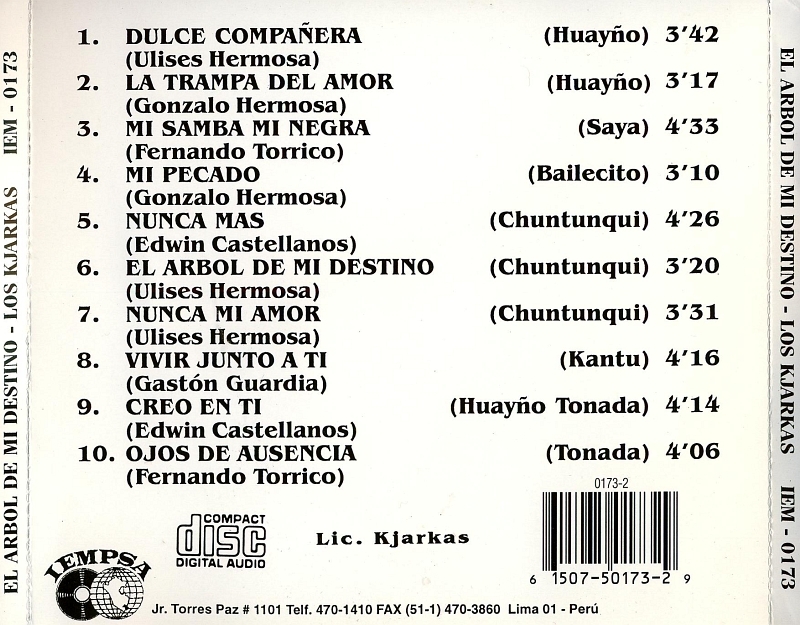 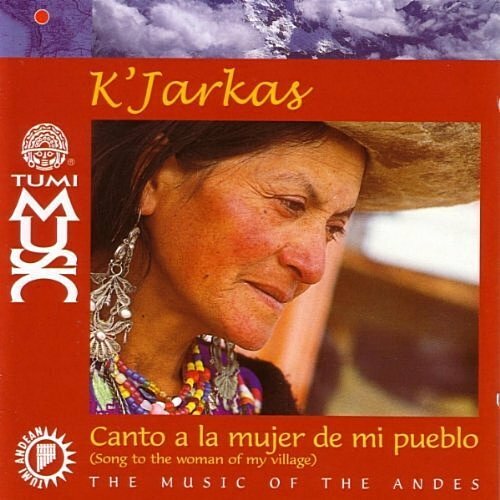 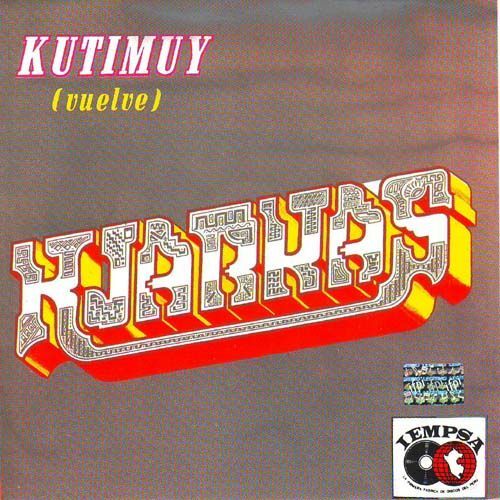 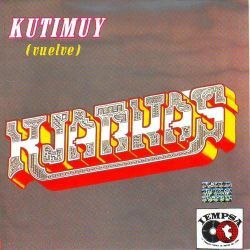 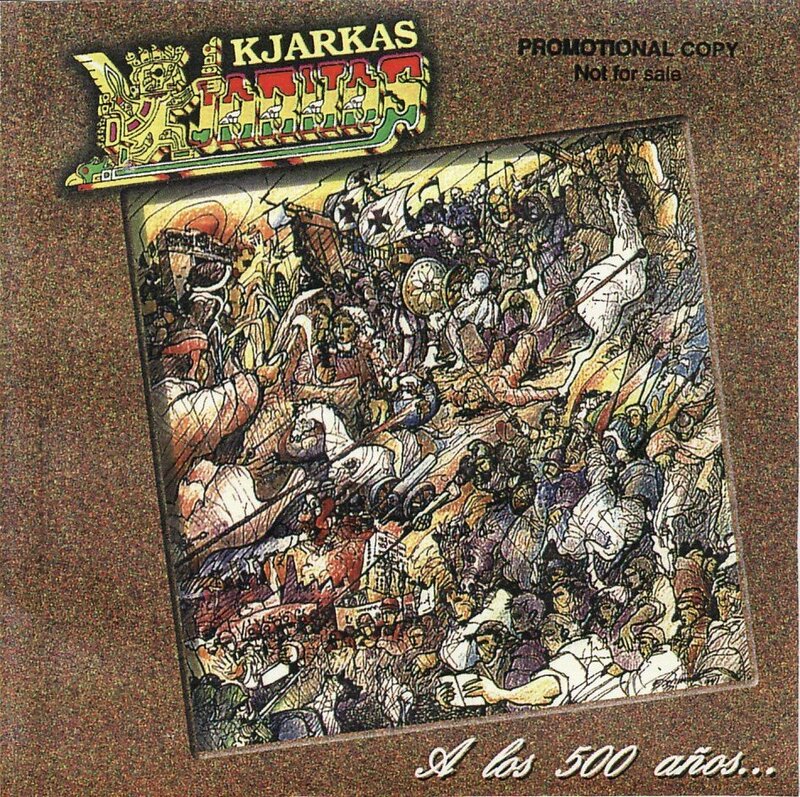 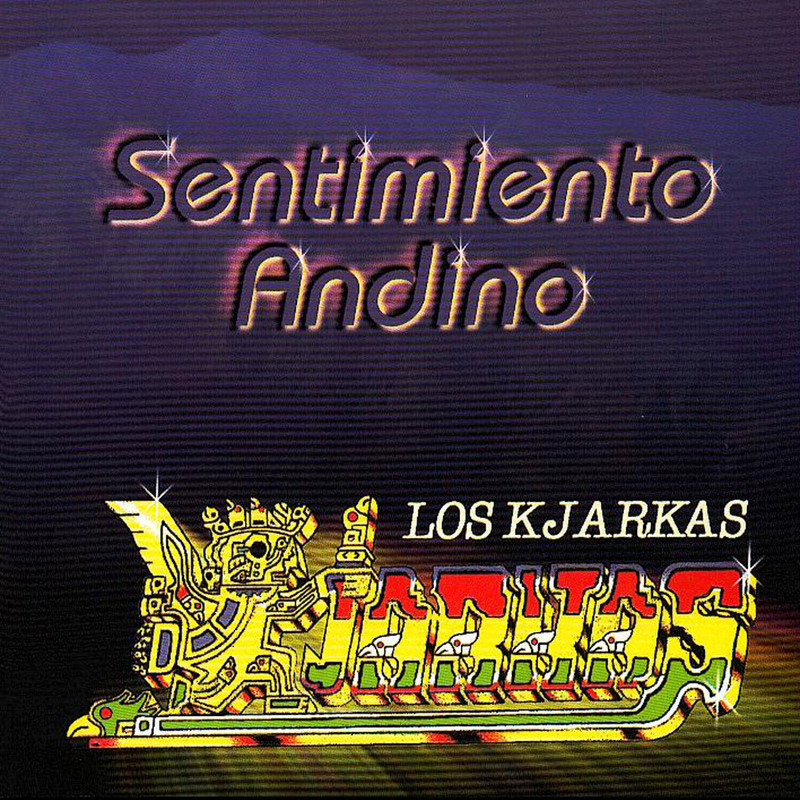 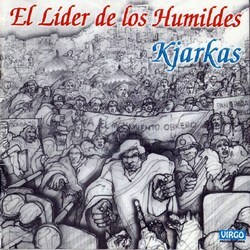 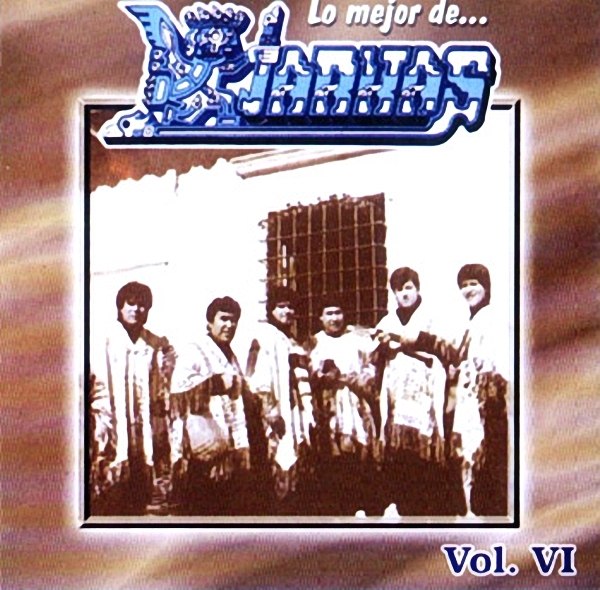 VI"
"El Lider De Los Humildes"
"30 Anos Solo Se Vive Una Vez - Vol 1"
"30 Anos Solo Se Vive Una Vez - Vol 2"
"Sueno Milenario De Los Andes"
"Canto A La Mujer De Mi Pueblo"
Los Kjarkas started their work in 1971 , with a new style of andean folklore, which started in Bolivia. 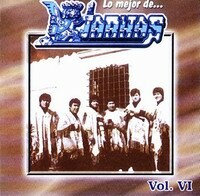 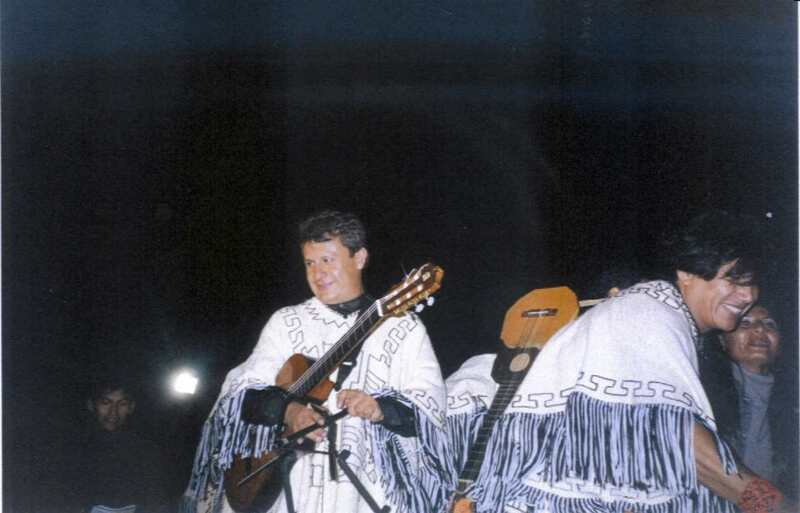 Their songs and their style brought new inspiration to other musicians and to the young people of the region. 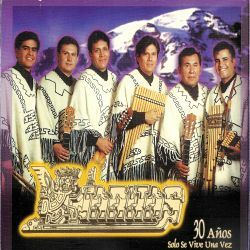 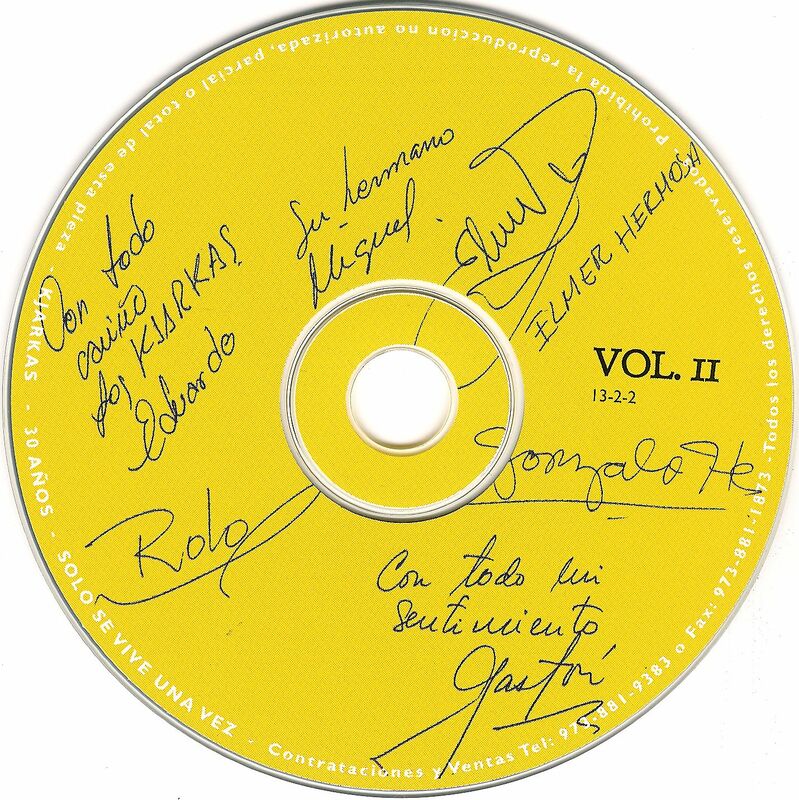 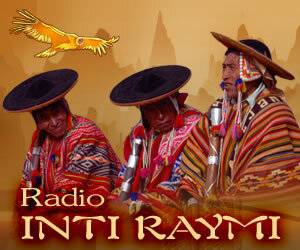 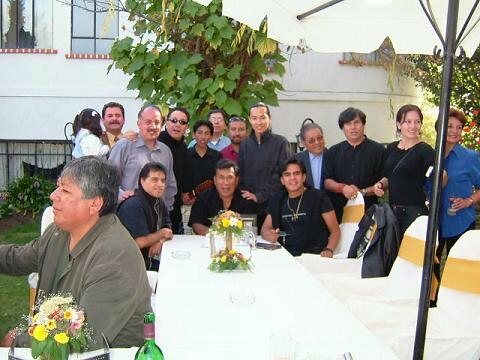 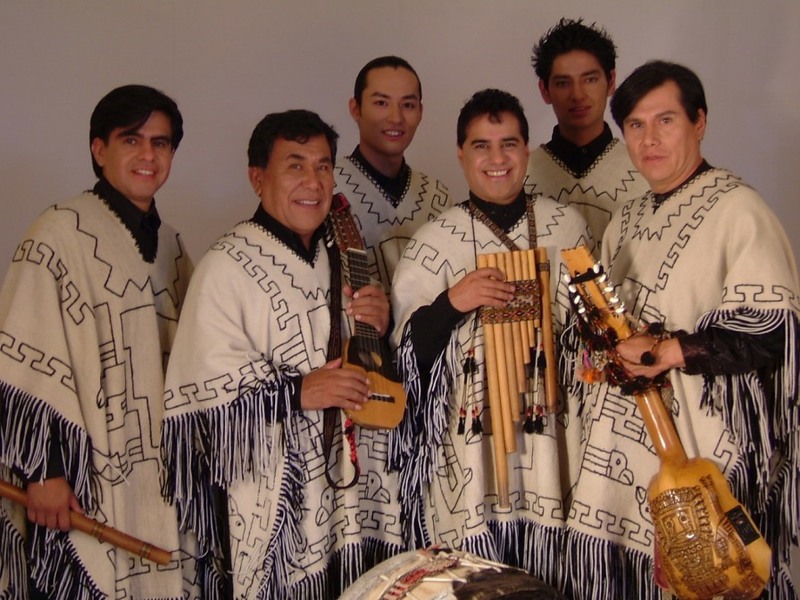 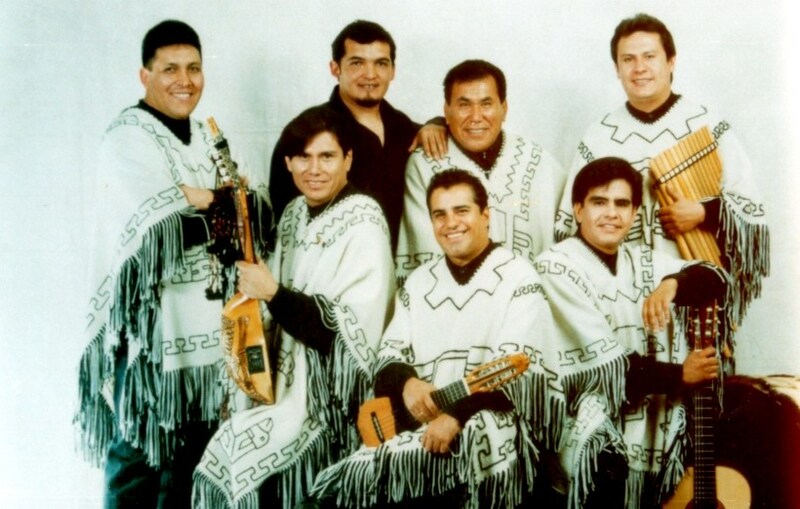 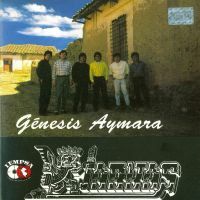 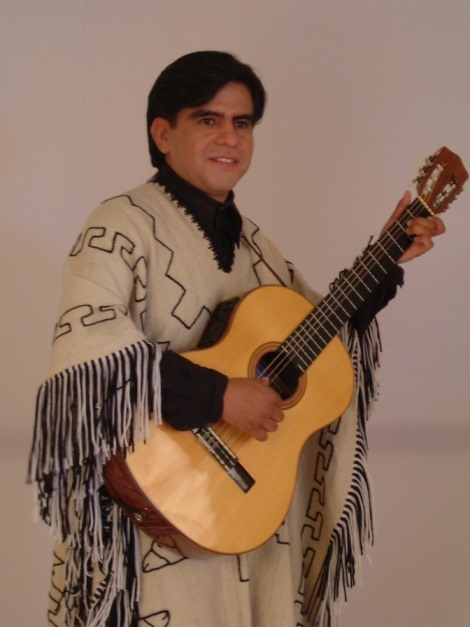 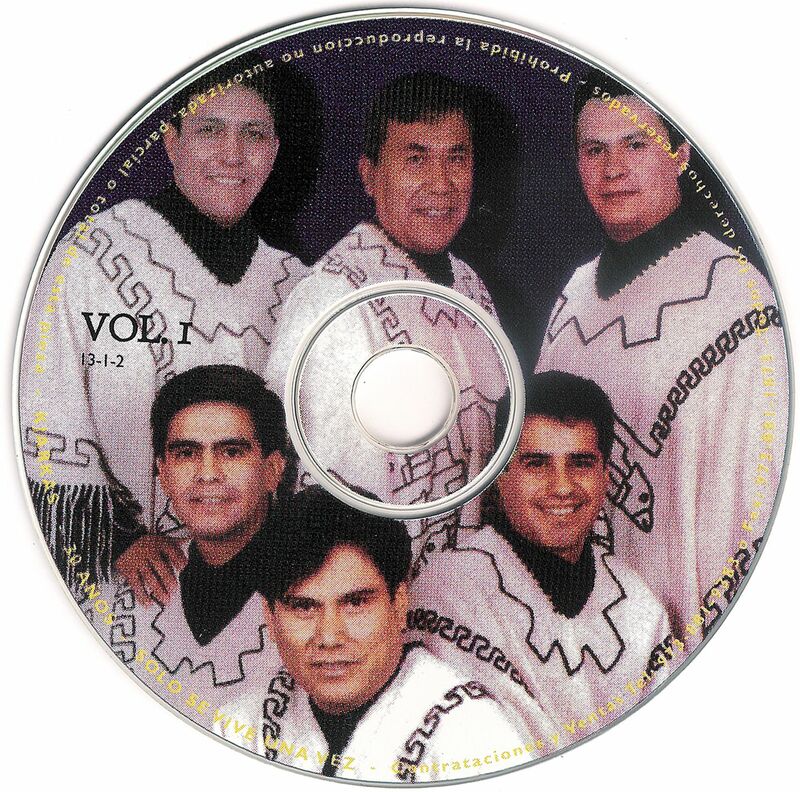 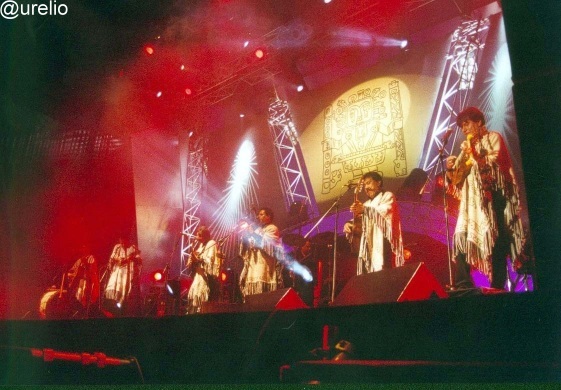 Their songs made people indentifying their daily life and situation with the poems of the songs, and because of this, the groups popularity has grown into one of the most famous bands of bolivia and south america. 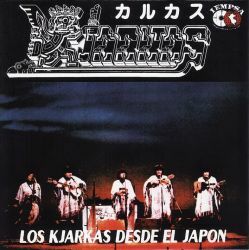 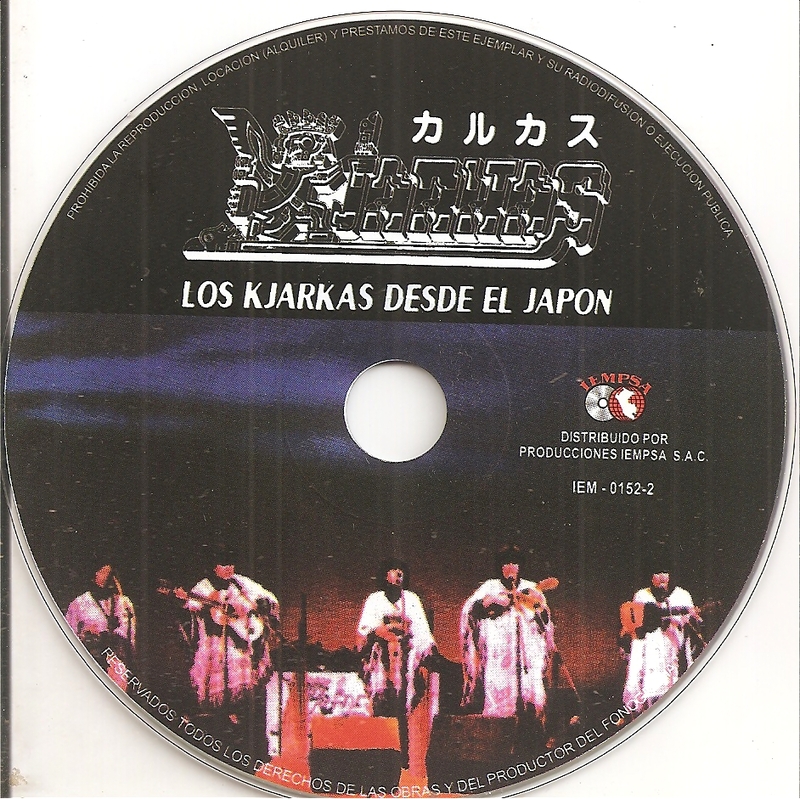 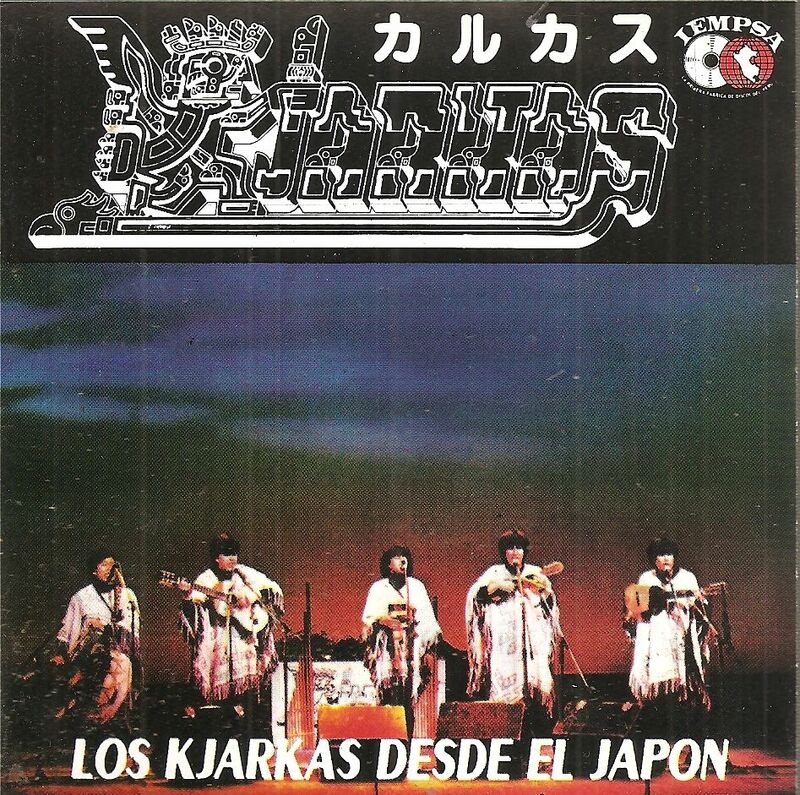 Los Kjarkas was known in Japan when they won a contest there for the best song, and soon there was a half a dosen bands who imitated Los Kjarkas and their style in Japan. 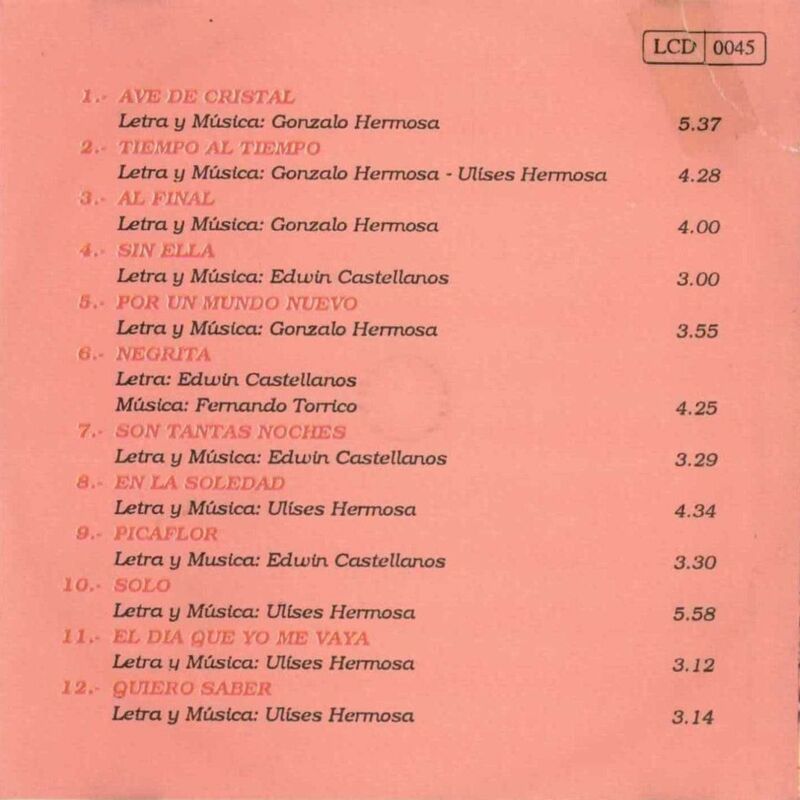 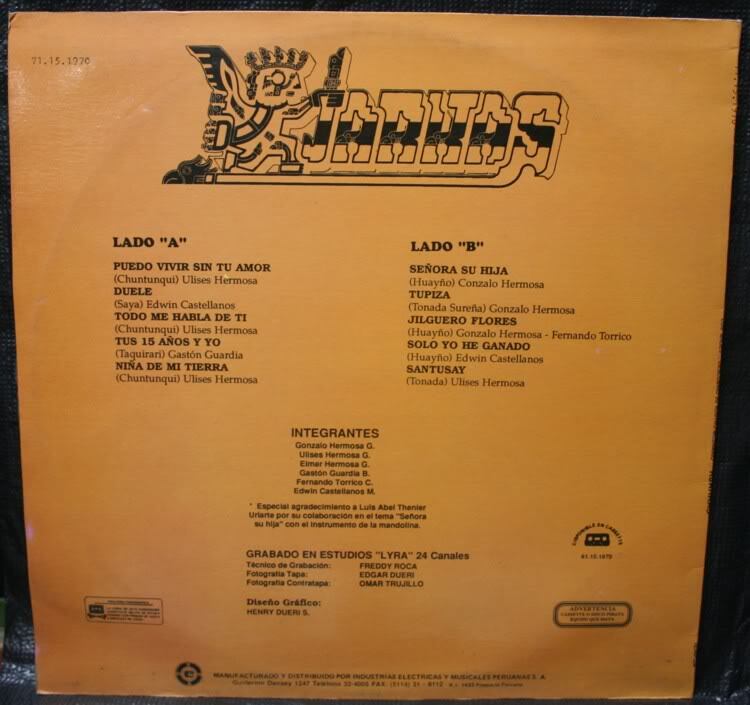 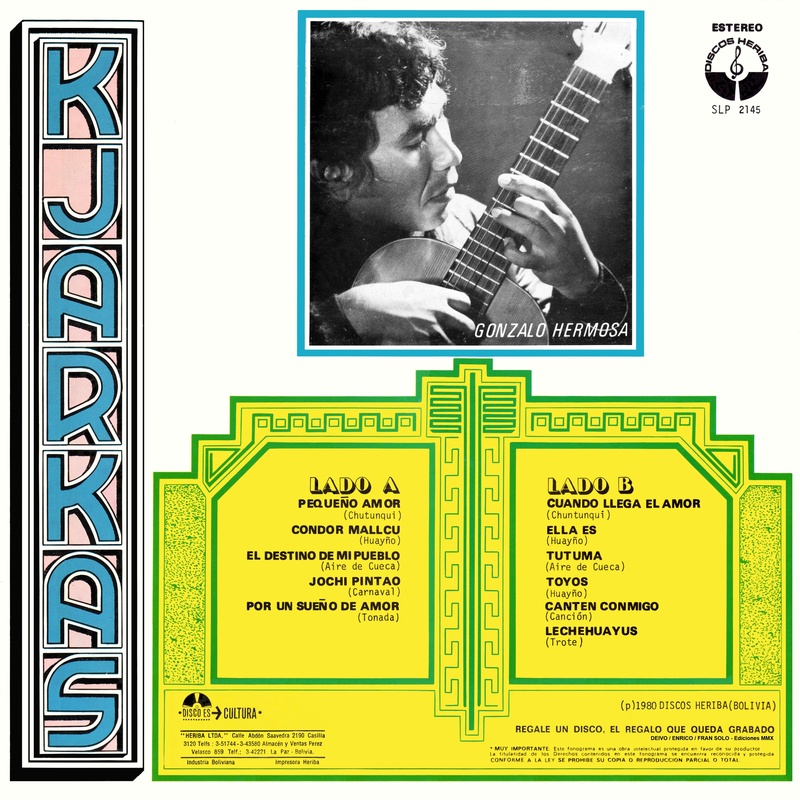 This happened in the 1980ies, later the group also where known for being the authors of the song "Llorando se fue" which a latinpop group stole and plagiated under the title LAMBADA. 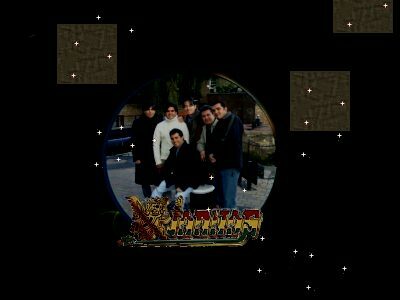 They have been various time in Europe, USA, and Asia during their long period of sucsessfull artistery, still they come every year to USA and to Europe to maintain their good relations to all their fans. 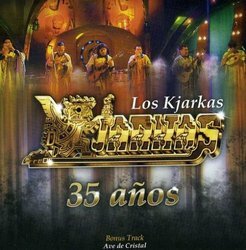 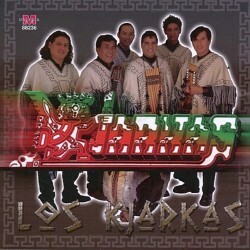 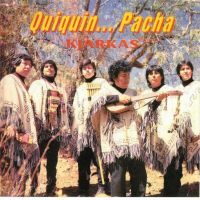 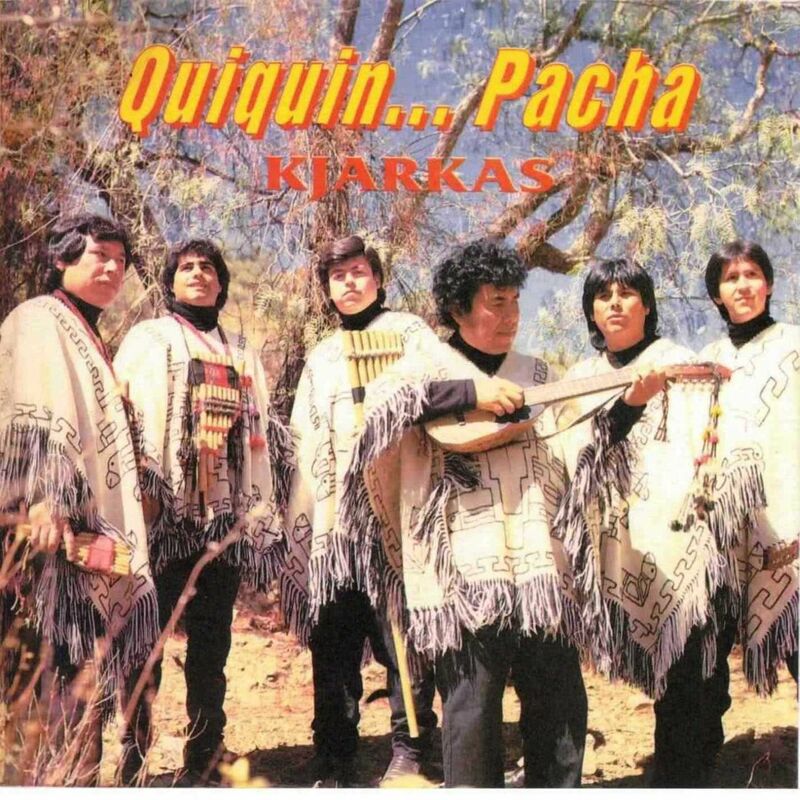 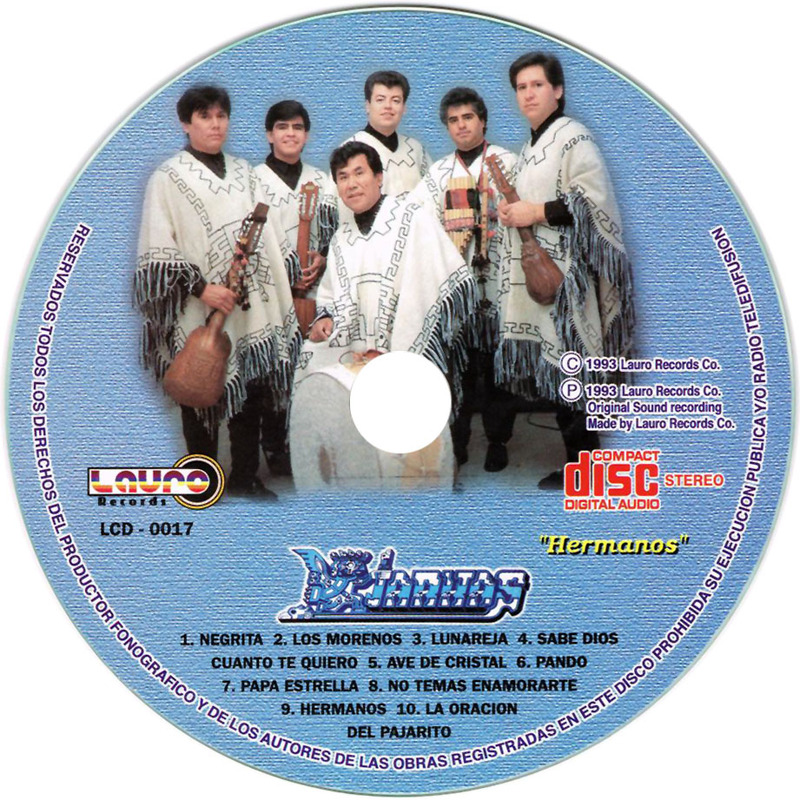 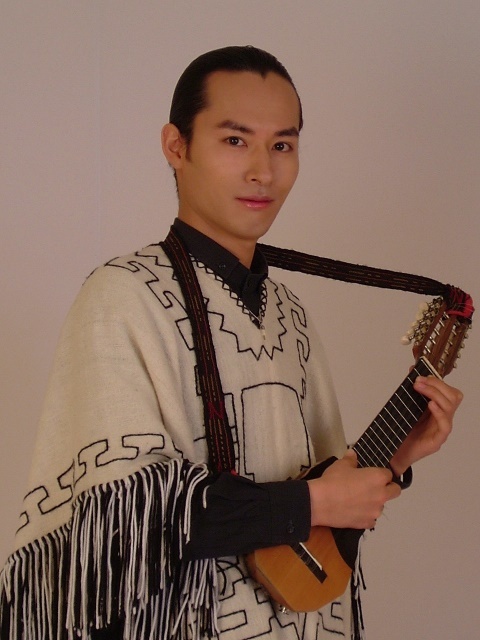 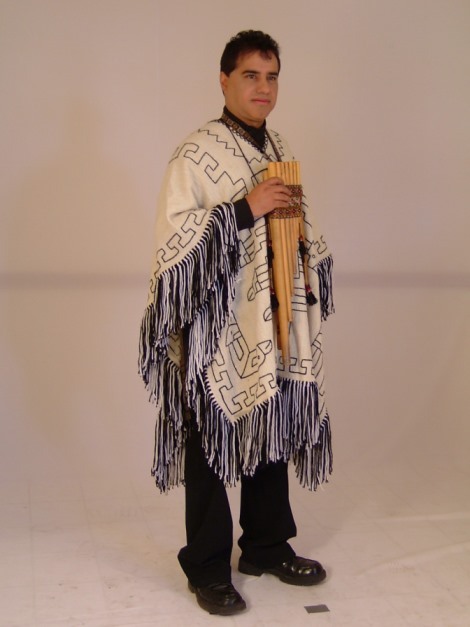 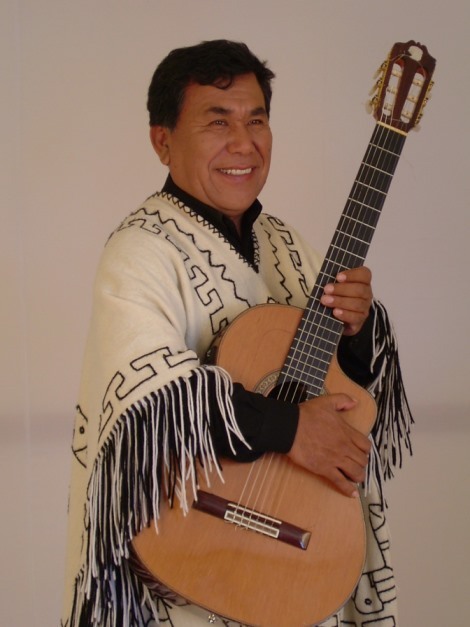 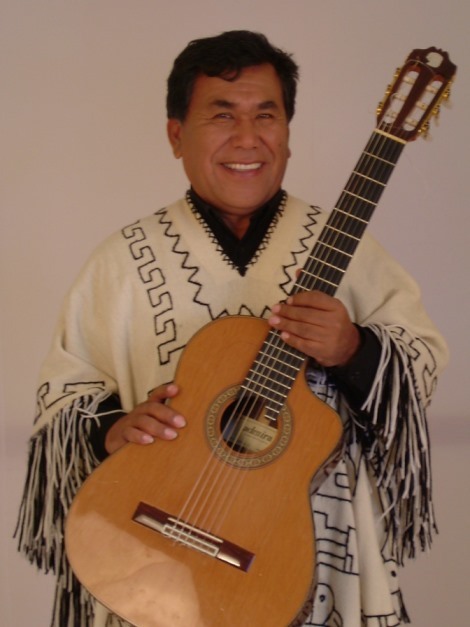 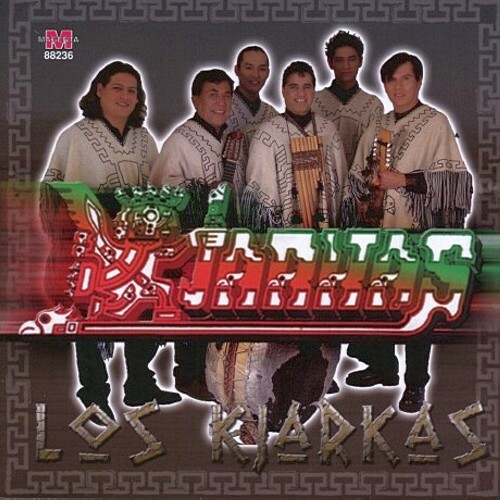 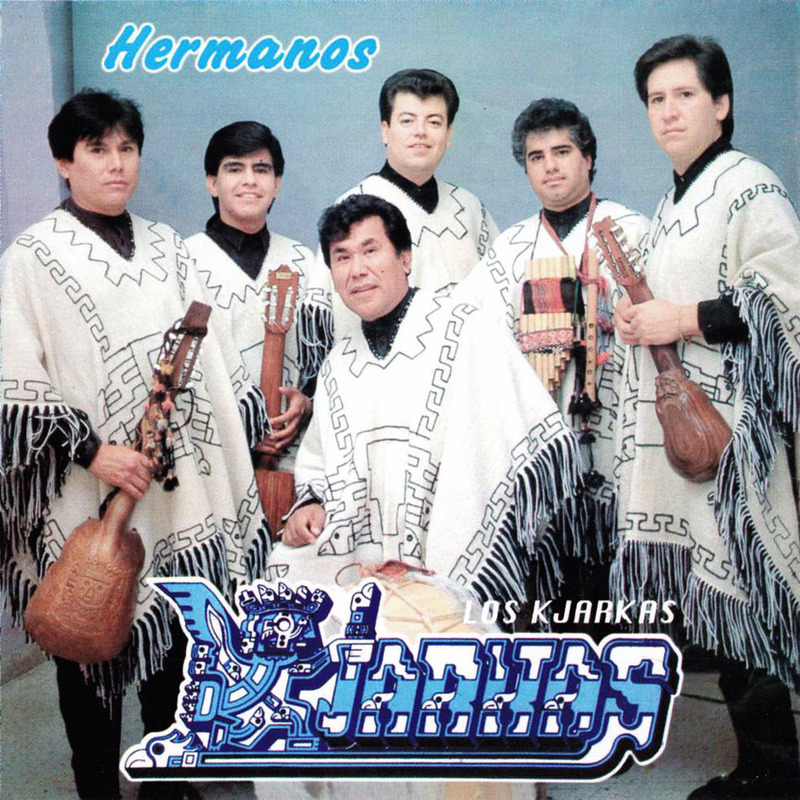 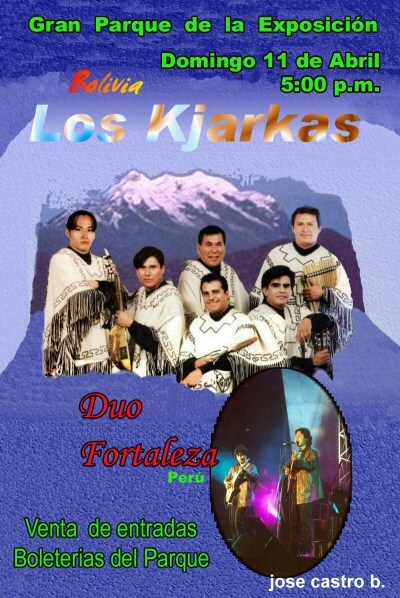 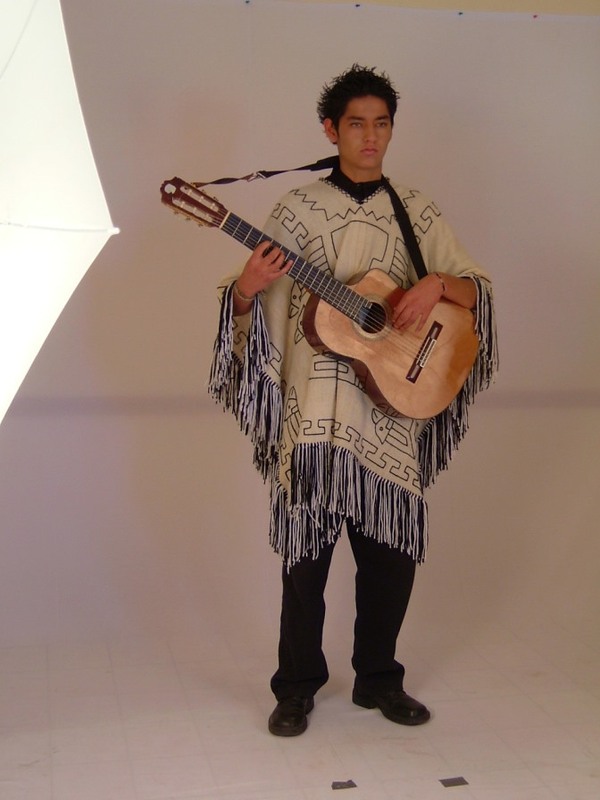 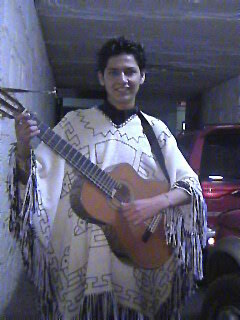 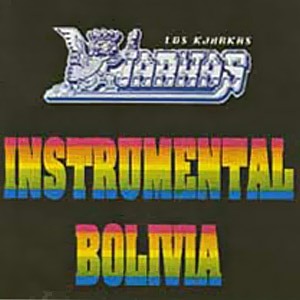 Los Kjarkas are now a national item of Bolivia, and they travel all around the americas and europe with their performances, where people greet them everywhere, especially migrants from the andean area who live far from their own culture. 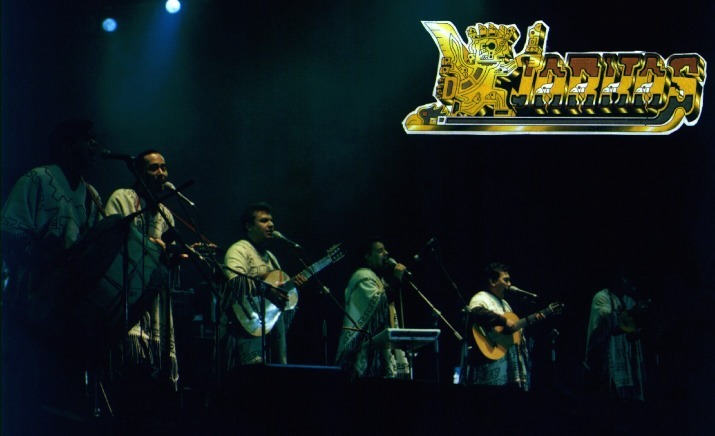 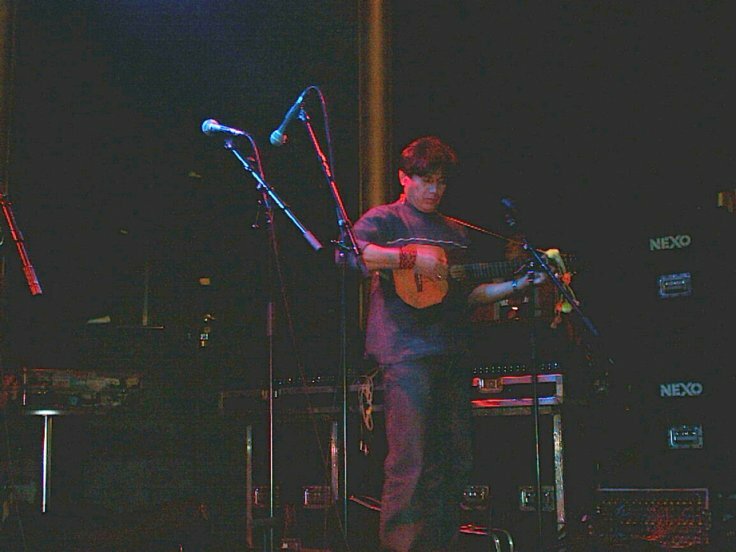 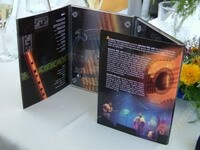 The band have gained more than 5000 diffrent prizes during the 33 years they have been around, and have sold more records than any other band in south america. 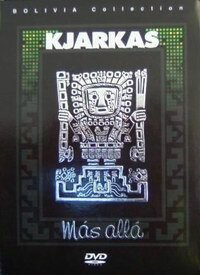 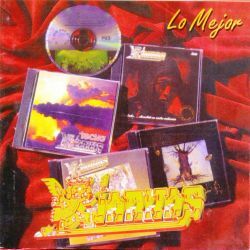 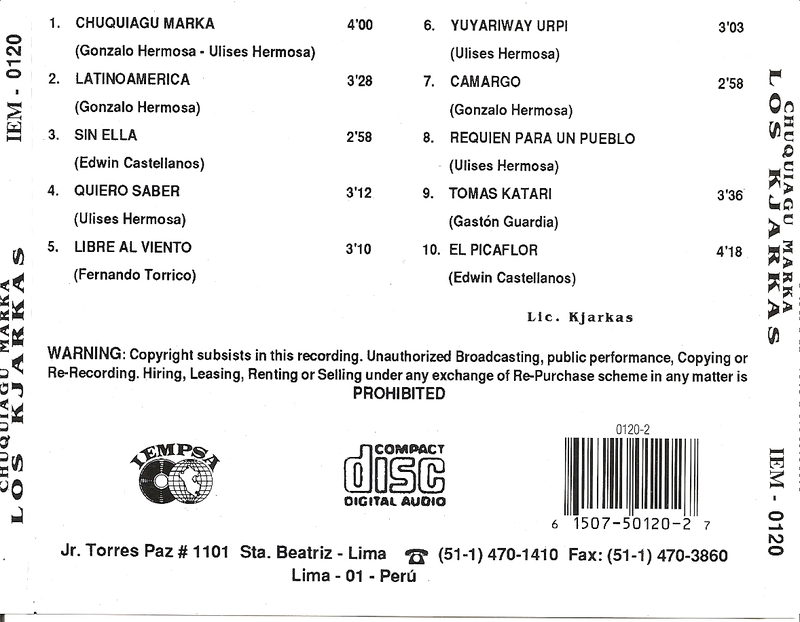 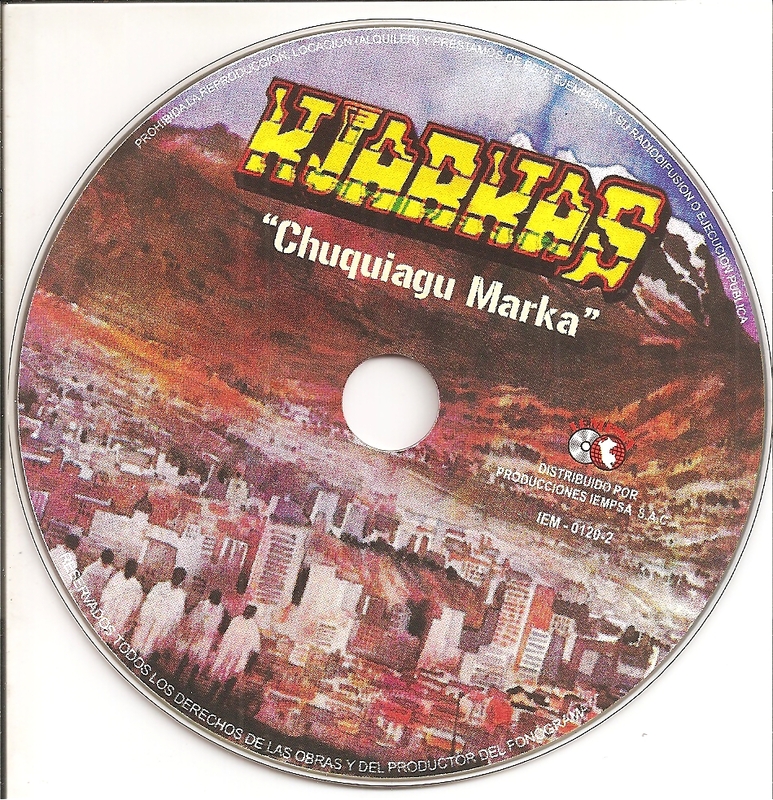 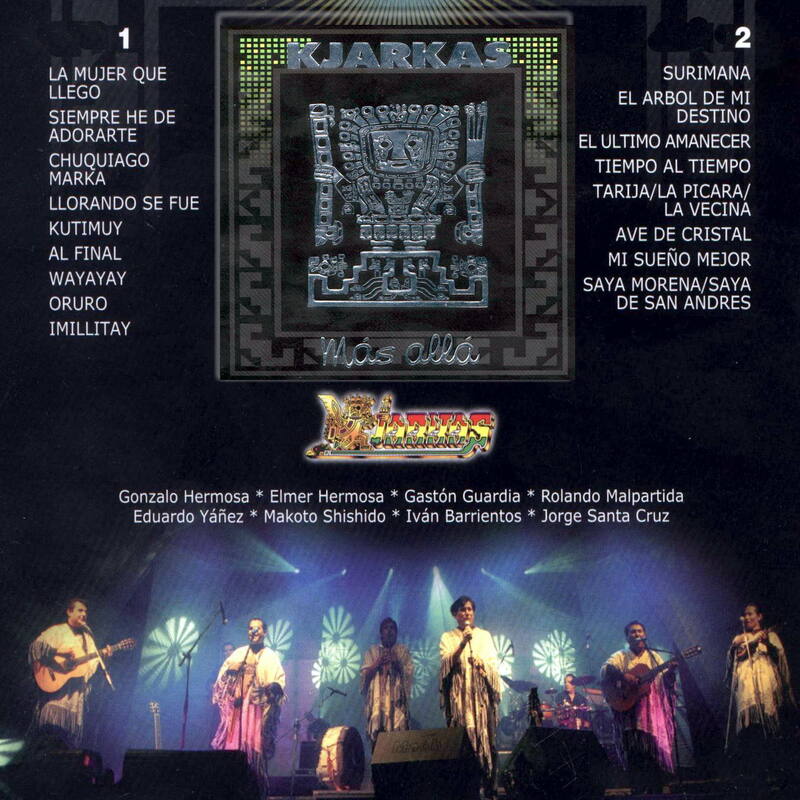 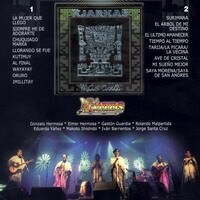 The latest product is a DVD called "Mas Alla", and its a proffessional production made in Bolivia, for the first time a folklore band have produced a DVD with full time concert, karaoke, and documentaries abouu the band and the making of the DVD.